Fresh, Handmade, 3-Lobe, Just Perfect, Naturally Roasted turkey breast, skin-on, natural shape A variety of seasonings and flavors make this product ideal for exquisite presentation. 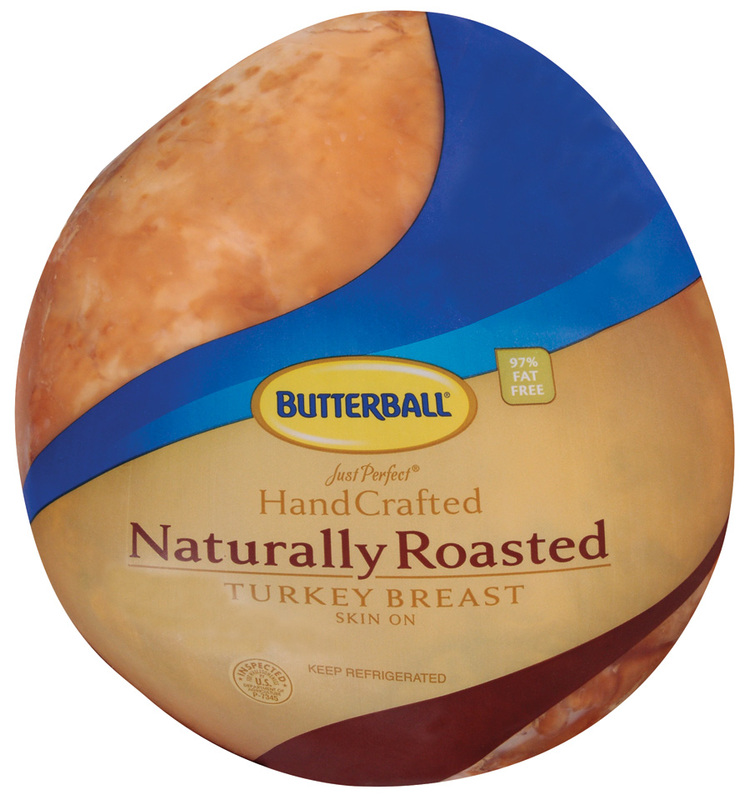 Each hand-crafted, skin-on, three-piece breast is lightly seasoned and naturally roasted. Clean label, whole-muscle and traditional pan roasted shape makes this a versatile item for gourmet sandwiches and center-of-the-plate presentation. ABOUT SAMPLING OUR Just Perfect Handcrafted Naturally Roasted Skin-On Turkey Breast.